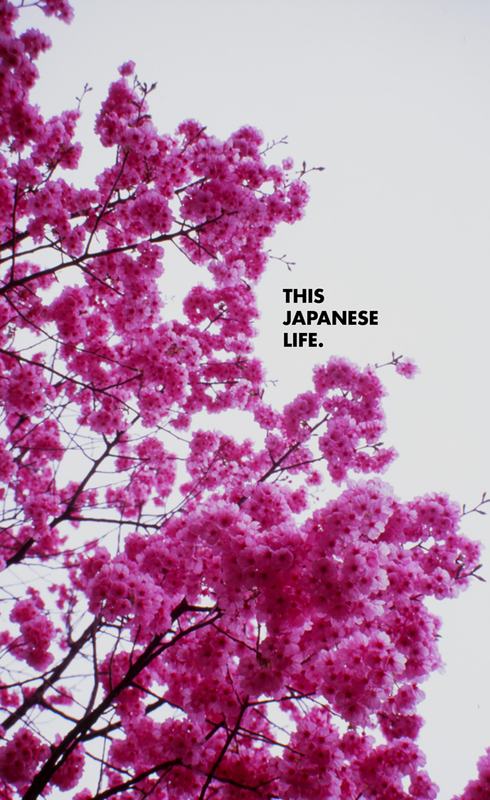 On Writing a Book in Japan | This Japanese Life. Posted on July 26, 2013	by E.
Writing every week forced me to do my homework. As I stuck around, I found more fascinating stuff than I’d ever imagined. This country is a writer’s dream. But I also started being more honest about what it felt like to really live here. This was a kind of homework, too — realizing my anxieties, I found that writing about them forced me to imagine solutions. So, this is all the longest preamble ever and it is leading to this: I have written a book. It is mostly stuff that is available on this site for free, but I’ve polished them up a bit, recombined a few things, added a sentence or two. This way you can have a book about this stuff. You can say things like “Here’s this book I really like,” which sounds better than “I like this guy’s blog.” Or hate it. Maybe you hate this blog! Then you should buy my book so you can sound like you hate literature instead of Web sites. Some people have asked me if I will continue to make posts after leaving Japan. I probably will, though not as often or consistently, and I’ll probably start a blog dealing with London and Shanghai over the next few years. I’ll keep you posted. Literally. I’d also like to say, in what might seem like shameless pandering, a real thank you to everyone who read this damn thing. It has been a hell of a lot of fun. The rush of watching my site stats every Wednesday, the thrill of your comments and Facebooking and Tweeting, gee whiz. I wish I was a more engaged blogger, but I was always asleep when you guys responded. When I was more or less alone and didn’t feel capable of accomplishing anything, knowing you were reading and responding to my writing was really comforting. Congratulations man! I’ve really enjoyed reading the blog this whole time, so I’ll probably get the e-book (shipping physical books to Brazil is kind of expensive)! I hope you’ll be successful in what ever comes next in your life. Cool. I’ll buy it if it’s available at a shop where I don’t need a creditcard. Grateful for the e-book version (being the global nomad that I am). Downloading it to my Kindle-on-Mac as I write. I’ve only been reading your blog for a short while, but have enjoyed enough to convince me that your book is must-read as well! Man, congrats for your blog. You’re extremely talented. I will probably move to Japan next year, and believe me: this is already helping me a lot. PS: I have just bought your e-book. Hey, forget about feeling like a “shill!” You are offering a product of value to people. And for those of us who self-publish, there’s no one else to do the marketing for us. If your blog has enough to offer to catch the eye of The Japan Times, it is head and shoulders above the blogs that most of us have out here in the blogosphere. And no doubt, the book that you’ve compiled out of it will be genuinely beneficial to other folks coming down the line. Peace. And thanks for sharing your insights. BTW, I did buy a copy and look forward to getting to read it. Best wishes for much success! As someone who has been studying Japanese for a while now, this really made me think about whether or not I want to live there for any period of time. In the end, you both convinced me and made me feel slightly more secure in the knowledge of what I might have to face. Most of all, this blog was just plain enjoyable. I love learning. I love Japan. Together, those two things were what made this blog great. Thanks for all the fun times! I loved reading your posts, and have always thought that you should combine them into a book. Clearly you had the same idea. Purchased for me kindle. Although I’ve really enjoyed reading your blog over the past few years, there is one question I’ve always wanted to ask you. As a white American (or, at least, white-passing), are you at all concerned about advancing potentially harmful stereotypes about Japanese culture though your, admittedly, limited perspective? Surely, as a white person, there are certain incredibly diverse aspects of Japanese culture which you couldn’t possibly discuss with any sort of accuracy. I’m sure you’re a nice guy. I’m not bringing that (or your intelligence) into question. But, like many other expat bloggers, you have consistently highlighted your difficulties with assimilation. Knowing that you have the privilege of being a white American male, knowing that you were born in a country that values your existence over people of color, how can you (and other expats like you) not feel as though, by highlighting your own struggles, you’re erasing the struggles that Japanese people face every day? Again, I’ve really enjoyed reading your blog, and I hope you’re not offended by my question. Do you intend to start a new one about your experiences in London? I lived in Essex for about a year (and miss it! ), so I’m curious. As for the struggles of real Japanese people I have tried to cover some of these problems – my series on education emphasized students living in poverty; I have written about homelessness, bullying and stigmatized minority groups. I wish I could have done more to talk about people’s lives here or tackled them with greater complexity. But should I have avoided them completely because I’m white and “couldn’t possibly discuss them with any kind of accuracy?” Maybe. But then what would I do? Blog about AKB48? Yeah, I’m highlighting my struggles assimilating in Japan. If people were interested in reading about a non-white perspective on Japan they could read blogs written by a non-white writer. I don’t think I’ve been advocating against that! I’ve said more than once that as a white guy, I have the benefit of internalizing privilege to such a degree that I would never connect my experience in Japan to the experience of an immigrant to the United States. I’m aware that even in an “other” country, I instinctively see everyone here as “other” and myself as “default,” but I’m honest about that bias (when I’m aware of it) and I push myself to challenge it. Part of this blog is about learning to recognize internal biases and assumptions. Most of my writing is about tackling the default settings. On the whole, I think that’s a positive step for everyone. I’m going to write something, so I have tried to write as responsibly as I can from my limited experience. I hope I understood your question correctly. I’m not offended, and I hope my answer is, at least, the answer to what you were asking! I mentioned on Twitter that I saw many similarities between you and David Mitchell. Now there’s one more! You’ve both published book(s)! I was born in China. At the age of 10, I moved to Canada. At the age of 20, I moved to the United States. Since my teen years, I’ve been a Japanophile and hoping in the future to be doing JET someday. Your writing articulates factors and reasons why I have trouble finding my own Chinese-Canadian-American-Japanese identity in this hyper-individualized world; you write as if you knew my problems and sometimes internal monologue even better than myself. Reading your blog posts has been a strangely wonderful experience, almost like experiencing my own problems from a third person’s much more mature point of view. It has been a pleasure to read your writing. I look forward to more of your writings in the future! I’m not sure if you are familiar with the term “Third Culture Kid”? It certainly helped me a lot understanding how I grew up in different countries & cultures and the in-between-identity that came with it. No, I actually have never heard of that. I’ve always thought of myself as a cross-cultural person, but this might actually be much more fitting. Sweet. Thanks! Wow. Thank you so much for introducing this to me. I don’t know why I’ve never come across this before. I just finished reading the wikipedia page on TCK, and it describes me more than I expected. Thank you! Seriously, this helps more than you know! It’s the sort of term that one just stumbles across (though I’ve heard that now at international schools they try to educate families about this). Realising I was a ‘Third Culture Kid’ helped me a lot in understanding myself & who I was (right after high school, when I had a little existential crisis ;-) ), especially because my parents just couldn’t understand why I didn’t identify 100% with my passport country like they did. I found it difficult whenever I went ‘home’ that people would expect (and still expect) me to be a certain way, that I simply wasn’t. I’ve made peace with it now, and I know I’m happiest living somewhere abroad where I’m the ‘foreigner’. I want to thank you for this blog. I read just about every post every Wednesday and have to say it had a lot more information about the real Japan than the Japan I read about in my travel books. This blog has helped me to prepare for my year abroad in Japan. It’s been a priceless source of information and an insider look into what life is really like. I have my own anxiety issues si this truely will be and has been a great help. I’m going to order the book as soon as I can, and I can’t wait to read it! So thank you, for being a good guide and informant. Is it just the page contents or are the comments below the piece included also? So pleased to see your work in print! I’ve been in Japan for 6 years now and I could write 2 or 3 books about my life here, but I’m not a good writer, so I guess there will never be any books. And I doubt anybody would want to read it.
! How did I not know until now that you had published a book? Definitely buying a copy, as I lived in Japan for just six months but can definitely empathize with some of what you’re saying. I love your writing style and am a little sad that you won’t be blogging from Japan any more. Anyway, great work on this blog and thank you for publishing your book as an eBook (I read the entire preview and didn’t notice one mistake, so don’t worry about it being ‘riddled with formatting errors and spelling mistakes’). I can’t wait to read the rest. I’ll definitely be buying your book! Ive been reading your blog all day, some great stuff! I plan on moving to Japan for a while, and I’d also like to go to London. My major is Japanese and English as a second language–I’m an American so I know all about “American English” but I want to also learn more about America’s mother country and the English spoken over there. Anyways, I guess I’m already preparing myself for the culture shock of being in Japan. Thanks for the laughs and insight–I’ll probably end up commenting on some of your other posts as well.